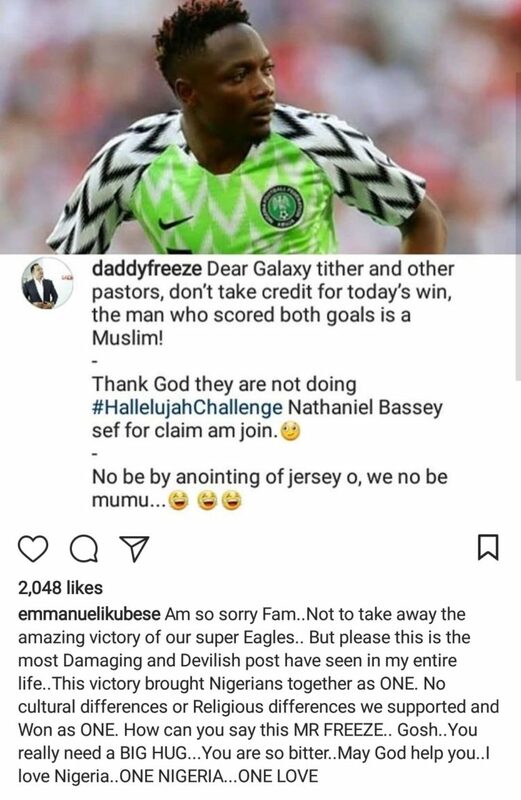 ormer Mr Nigeria ,Emmanuel Ikubese has slammed Daddy Freeze over his post about the Super Eagles victory over iceland yesterday. 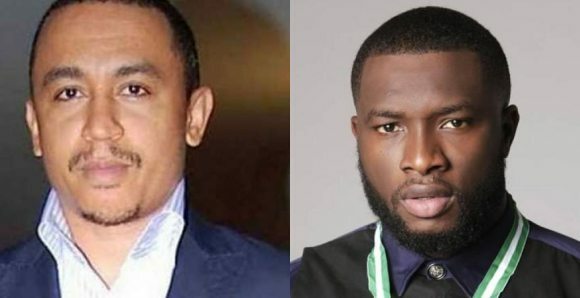 The ever controversial OAP, Daddy Freeze, who is a critic of tithing pointed out that Nigerian pastors should not take credit for the Super Eagle’s victory against Iceland, because Ahmed Musa who scored the two goals for Nigeria does not pay tithe to any pastor. 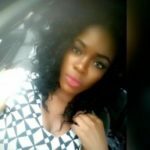 In response, the actor, Emmanuel called it the most damaging and devilish post he has ever read.